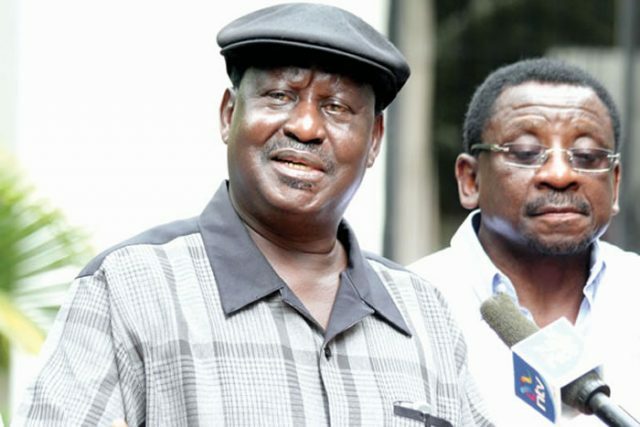 Before the august 8 poll, orengo was seen always on TV issuing statements and talking big. He was the first person to announce that elections were rigged and he was the first person who helped NASA file a petition. He won the case and election was annulled. After annulment of elections orengo was a regular figure in our TV stations issuing statements and press conferences. He always said that after reading the constitution he has instructed NASA leader Raila Odinga to boycott elections and that elections which will happen will not be legitimate. They came with an elaborate plan to stop elections from happening in luo nyanza. According to statement by orengo and muthama if a constitution does not participate in the elections, the elections will be null and void. Which was not true.5 constitutions did not Participate and Uhuru was still declared winner. We cannot see now orengo in our screens anymore. Main reason is that orengo is afraid of being blamed of Raila downfall and wants him to lead himself to the slaughter house. Orengo clearly knows that what Raila is trying to do amounts to treason.